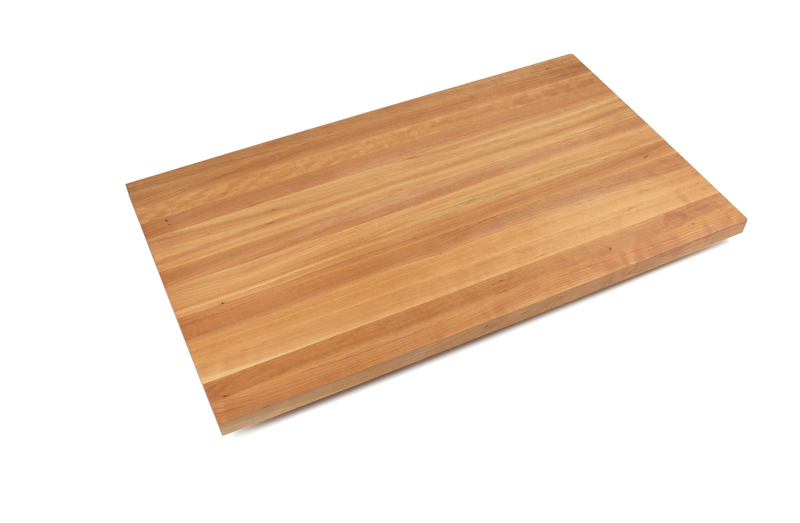 Here's a cutting board for serious home and professional chefs alike, and for true lovers of meat and poultry, and especially roasts. 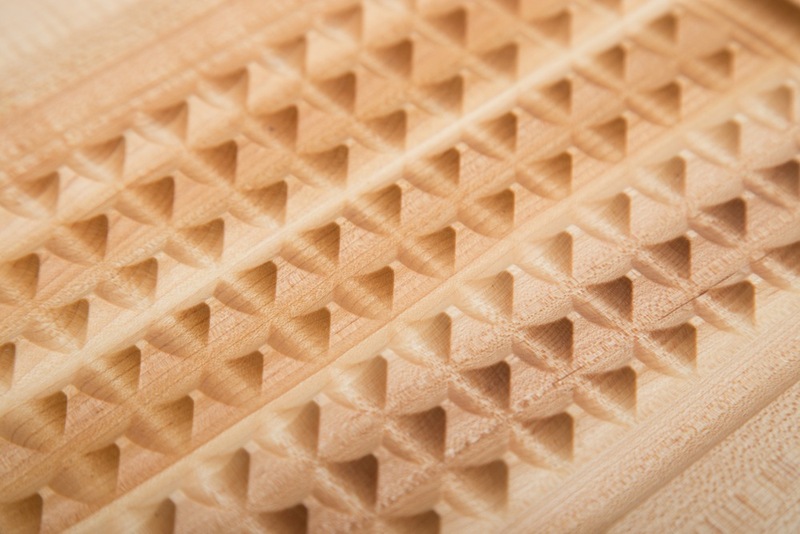 A field of miniature pyramids in the center of the carver helps stabilize whatever it is you are carving. 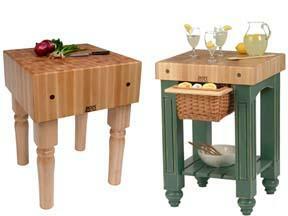 Its juice groove is sloped to guide liquid runoff toward a hole in the trench on one long side. 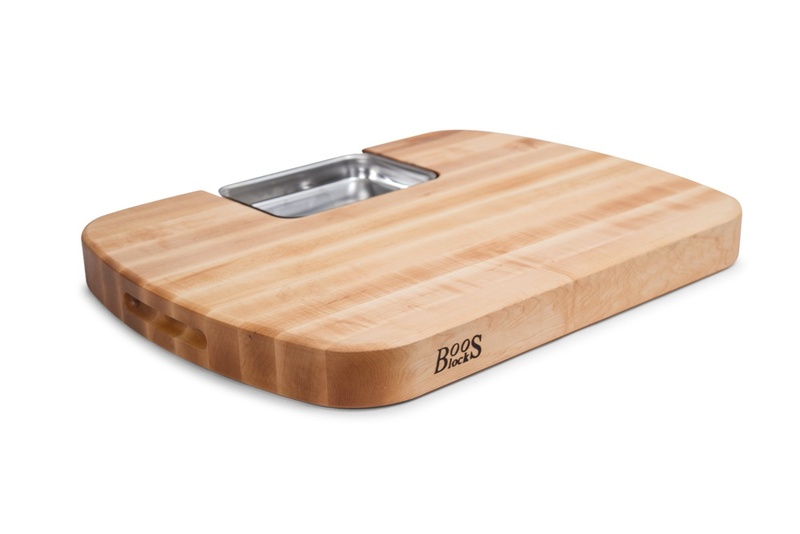 A stainless-steel tray slides in and out of the slot beneath that hole, allowing you to capture juice and to direct scraps into the pan with ease and without mess. Finger grips are cut into short, curved edges of the Ultimate. 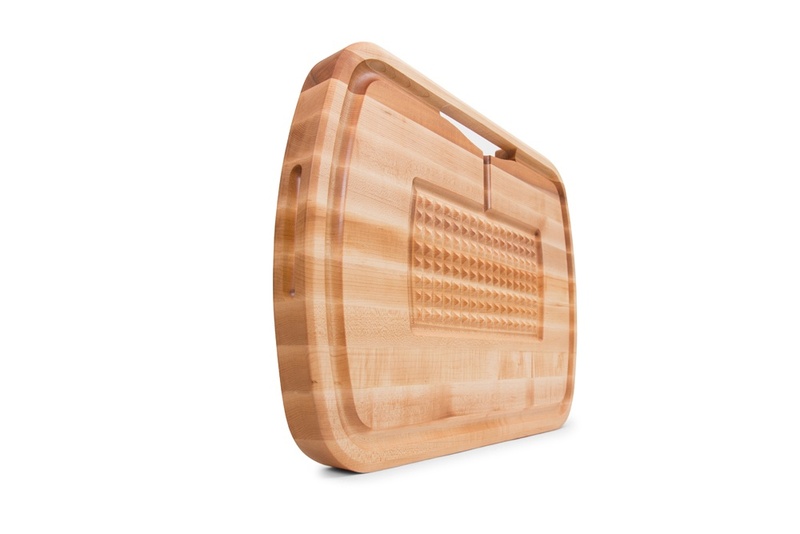 Use them to carry the board as you prep and serve meals, and to flip the board over. 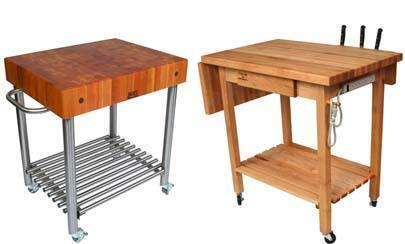 The flip side of the Ultimate Carver is flat, so it better shows off its Maple edge-grain butcher block. 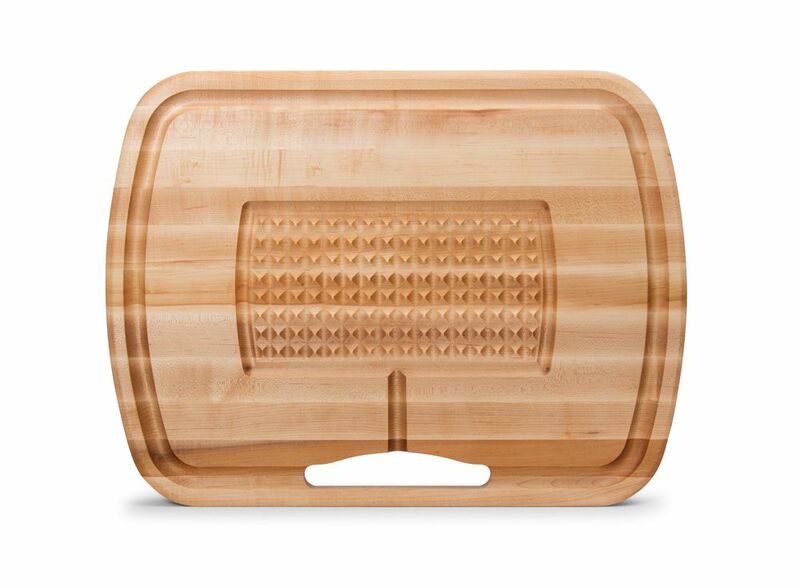 Use this side of the board to serve bread, cheese or finger foods. 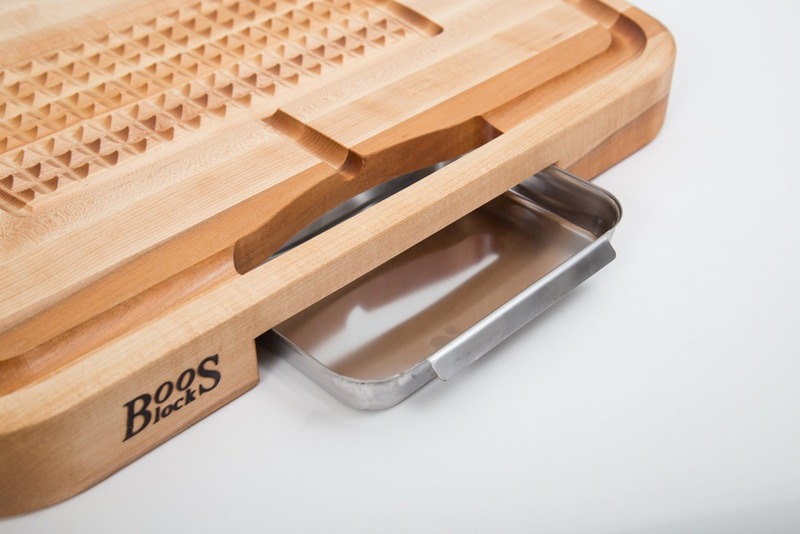 The stainless steel tray that functions as a scrap pan when used in conjunction with the board's carving side makes an equally great condiment tray when inserted into the slot on the board's serving board side. 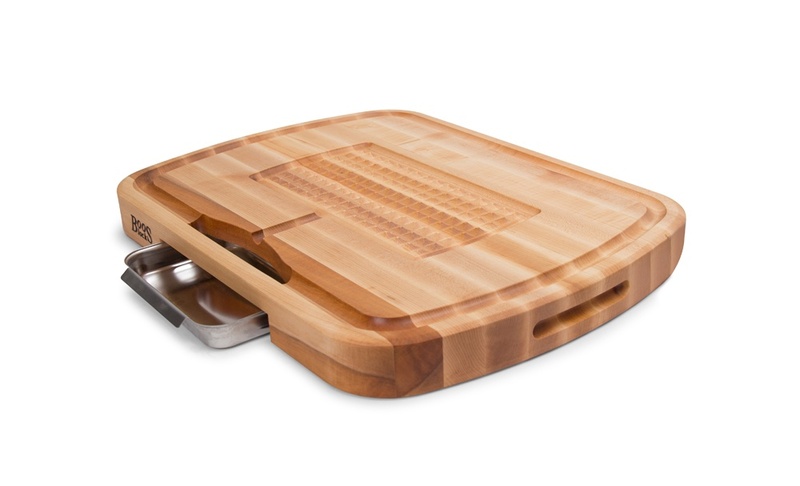 Or use this side of the Ultimate to slice fruit and vegetables for use in recipes or for serving. 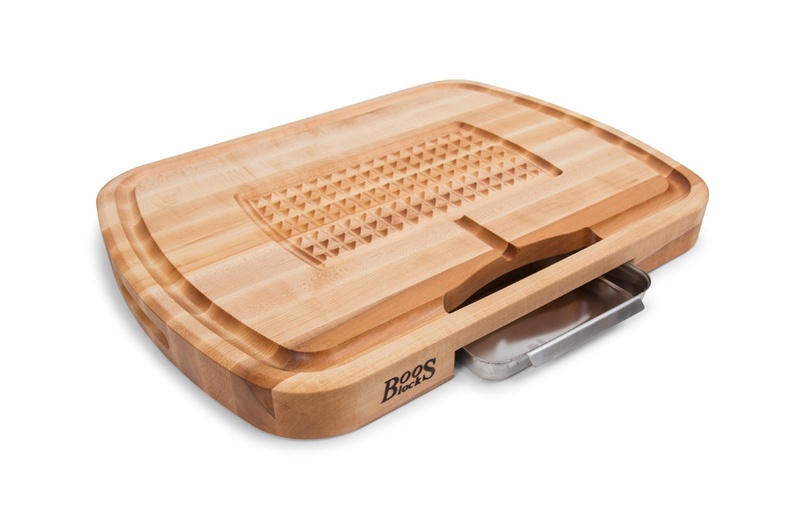 Using a knife blade simply slide what you've cut into the tray for easy conveyance. Boos Cream - a special formula that combines natural oils and beeswax - penetrates and moisturizes wood, and at the same time, leaves a silky, waxy barrier. 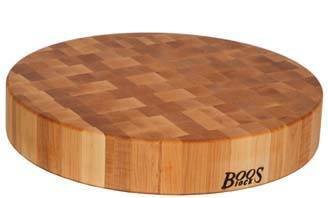 You should reapply butcher block oil and/or board cream monthly to protect the board and to extend its useful life.